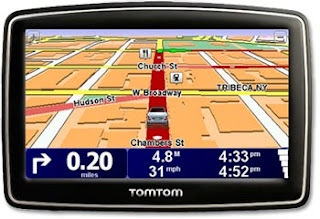 New TomTom XL 340S Live GPS unit released with AT&T 3G connectivity built-in, AT&T connectivity allows the GPS unit to perform local search for gas stations, restaurants and more. Connectivity also allows the GPS device to get real-time traffic info. GPS units which worked from devices useful for the riders spotting the route as a way to get out of traffic and this TomTom device connected services via AT&T help them their regular trip. The GPS device has maps of the US, Canada, and Mexico pre-installed. TomTom XL 340S Live GPS unit - For accurate traffic information.